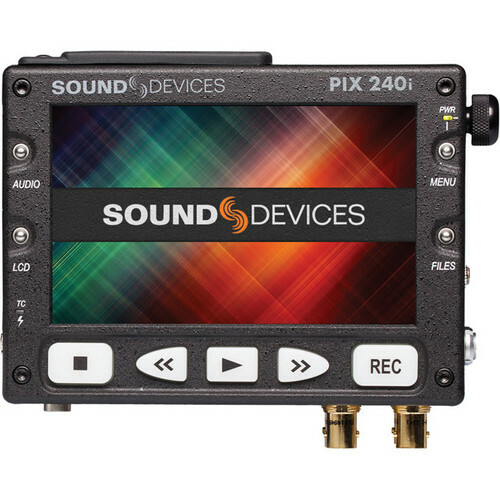 PIX 240i 5" Portable Video Recorder & Monitor is rated 3.7 out of 5 by 7. Rated 4 out of 5 by NW Camera from Solid Video Recorder! I use the PIX 240i for external recording with the FS700, AF100 and D800. I am recording to SSD with the PIX-Caddy 2 from HDMI and HD-SDI, and so far it has been flawless. The build quality is great and the user interface is easy to use. The fan noise is non-exsistant and feels solid when mounted to the camera rig. It will eat through batteries so I try to plug it in whenever possible. Also I feel like the LCD resolution could be a little better, but it's not terrible. Overall I am very happy with the PIX 240i and would buy it again! Rated 5 out of 5 by Fernando Y. from RELIABILITY Absolutely great product. Incredibly easy to use, very intuitive. Great features, very solid construction, everything about it exhales quality. To complete, the image of the monitor is gorgeous. Have been using it with my sony F3. It really is a huge improvement to the camera. It becomes another camera when used in conjunction with an external recorder I'm very, very happy with it. Rated 3 out of 5 by Kevin from great recording device Fantastic recorder, small but rugged, takes bnc + xlr inputs, any HD format Pal or Ntsc. Battery power using the Sony L-series doesnt last much but that can be overcome using the D-Tap. Found one problem with recording files Ntsc and Pal on the same SSD card (using the Caddy):the initial files (this case in Ntsc) record long and continuously. Then, after changing format (to Pal) the new files would interrupt after a second, 2 seconds or a few, then go a minutes recording uninterrupted. There are breaks where the recorder stops by itself then re-starts the record, goes on, interrupts, repeating the pattern. Rated 5 out of 5 by Conrad O. from Love This Recorder! Very high quality, made so well. Menus are laid out nice and easy to navagate and understand. The LCD display is great, very nice. And this thing records very well! I would buy it agaon and again. It is a bit on the heavy side, but still easy to camera mount. I use this one mainly behind a video switcher. Also, this thing eats batteries. An F970 will last about 50 minutes while recording. Still, IMO, this is the best 10 bit recorder on the market today...Love it. Rated 3 out of 5 by Carlos Corral from To too shabby but can be improved The recorder itself is a solid piece of equipment but sometimes, it is not the right option when you own a Canon C100. First and foremost, If you own a C100, the trigger record feature doesn't work. Only Atomos products seem to include that little feature. I've ask Sound Devices if they would fix this in a firmware update but they haven't gotten around to it.Another negative is that fact that the CF Card feature if very very limited. You are limited to using only one type of CF card, Sandisk Extreme Pro 90MB/s UDMA 7. Those are the ONLY cards that work and I believe they are discontinued. Any other brand or any other Sandisk versions (like the 160MB/s version) WILL NOT WORK with this recorder. Reasons I like CF cards for SSD? It's less weight and easier to manage. Sound Devices takes requests to fix this issue, but for an item thats costs well for $$, I'd say they are being pretty bad about it.On the other side, the menus are very easy to use so setting up the recording, audio, and timecode options are super easy. If you own a FS700, then this recorder will play all sorts of nice with you.If you are a C100 owner and want to buy your own Monitor/Recorder, then you are better off looking to the Odyssey7Q or Atomos Ninja Family. Rated 5 out of 5 by Luis from Awesome recorder Very easy to use. Solid build. Receiver recorder and through troubleshooting with Sound Devices technical support, it was determined the device had a hardware problem with ProRes recordings. Contacted B&H and it swiftly replaced the recorder for me. Second recorder worked flawlessly. Connection terminals are solid. If used with a Red Epic, will this be able to produce frame accurate proxies when triggered by the Red? 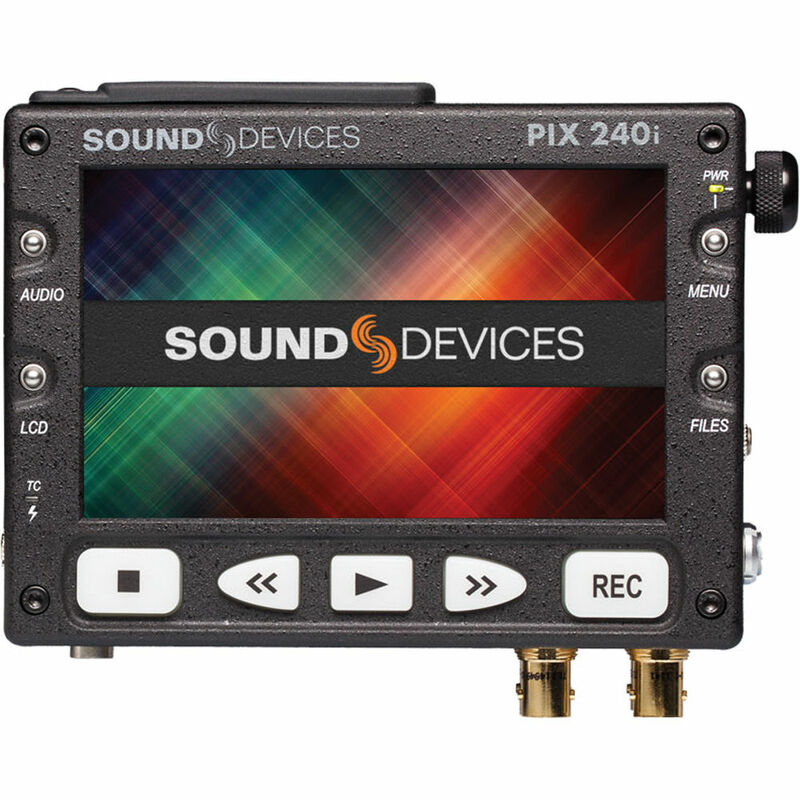 The PIX 240i offers both ProRes and DNxHD Proxy file recording. Just as long as the RED you are using has an SDI output this should be possible. Will this device record 12 bit when used with the Sony XDCA-FS7 Extension Unit and the Sony PXW - FS7? While this particular combination is unknown, we feel that yes it should take the 12 bit output and save it as ProRes 4444 by 3G-SDI. I have one but I would like to see some examples of how best to mount this to a DSLR rig. Anyone have any suggestions? Thanks. Pictures would be very helpful. I haven't had to mount yet, but I know this can be achieved with an arm. They have one specifically for the Pix. Placement depends on camera, of course.